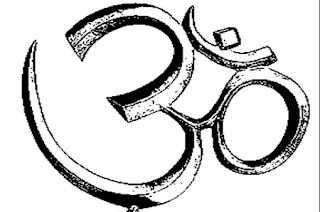 "Aum" has been an enchanting word, for several centuries in the Indian sub-continent. "Aum" is pronounced more as "Om". It has gained a religious connotation throughout these years, as a way of communicating with God. But Aum, I suspect, was designed by our rishis with a different idea. Aum, in my view represents the Universe as defined in the Standard Model. Mandukya upanishad explains Aum in its entirety. People think Aum is made of three sounds. But it is made of four quarters. Three sounds followed by a Silence. Aum needs to be followed by a silence always. Without the silence, Aum is not complete. Including the silence, Aum is made of four quarters, as Mandukya Upanishad calls it. When we say 'A', (the start of O)our lips part and the sound is produced from the vocal chord, coming out, without disturbed by our lips. It is a raw sound emanating from our vocal chords. It is a gross sound. When we say 'U', (the end of O, just before we start 'M') our lips come closer and the sound produced from the vocal chord is modulated by our lips. It is a subtle sound. When we say 'M', our lips close and the sound is a reverberation of the vocal chord only. It is a kind of sleepy sound or idle sound that can put us to sleep. My contention is that Mandukya Upanishad explains AUM as a representation or model of the Universe. How this model was perceived by the Rishis in those days is not known to me. May be they made a model based on their inner experiences or analogies. But, I find that AUM can be mapped to existing standard model of universe. Mandukya Upanishad says, AUM is the representation of the Brahman (the evolution) or the evolving Universe. AUM represents the standard model of universe by depicting particle representation, force representation, dark matter and dark energy. AUM by indicating the very composition of this universe itself, depicts the Universe as in the Standard Model. Mandukya Upanishad says AUM has four quarters. As explained previously, 3 sounds and silence form the four quarters from a linguistic perspective. According to Mandukya Upanishad, the first quarter is Vaisvanara, which is defined a state of waking up, enjoying gross elements, where the consciousness is outward or superficial. Vaizvanara means Universal (vizva) mortal matter (nara). It is the 'Sthula' state according to Mandukya Upanishad. Stula roughly is equivalent to the particle (gross) representation. From a scientific perspective, thus Vaisvanara is equal to the fundamental particle representation (Stula) as in the Standard Model . Mandukya Upanishad further says AUM in Vaisvanara state has 7 limbs (saptanga). There are seven fundamental parts in the Standard Model. Quarks (Bayons, leptons and matter that arise from decay of Quarks), Gluon, W Boson, Z Boson, Higgs Boson, Photons and Mesons (and other anti-matter) are the seven fundamental parts that make up the matter. From the primordial matter cloud comes the Quarks (and their anti-Quarks), Electrons (and their positrons), Neutrinos (and their anti-neutrinos) due to action of weak force. From Quarks comes protons, neutrons and from them evolve the atoms, molecules, elements, compounds and biological life. But these seven parts here are the fundamental parts that originate and trigger the evolution of Universe according to science. Mandukya Upanishad says AUM in Vaisvanara (Particle) state has 19 faces (ekonavimzati mukah) through which it is expressed outside. Modern scientists define the following states of matter, which they have been able to observe in labs or hypothesize for the sake of completeness. The states of matter are Amorphous solids, Crystalline Solids, Liquids, Liquid Crystals, Gas, Supercritical Liquid, Colloid, Plasma, Electron-Degenerate Matter, Neutronium, Quantum Hall of 2 dimensional electron systems, Quantum Spin Hall state, Bose Einstein condensate, Fermionic condensate, Supersolids, Superfluids, Quark-gluon plasma, Weakly Symmetric matter and strongly Symmetric matter. These add upto 19 states in which matter can express itself or the faces of matter. From a scientific perspective, thus Taijasa is equal to the fundamental force representation as in the Standard Model. Mandukya Upanishad says AUM in Taijasa state also has 7 limbs (saptanga) and 19 faces, which is same as that of Vaisvanara state. Inertia (or Gravity exhibited by Matter), Strong Force (Corresponding to Gluons), Weak Forces mediated by W Boson that causes elastic scattering, Weak force mediated by Z Boson that causes inelastic scattering, Property of Mass (Caused by Higgs Boson), Electro-magnetic force (Photon) and Nuclear force(residual strong force mediated by Mesons) are the Seven forces corresponding to the Seven particles. It is because Taijasa and Vaisvanara are same but different representations of the same states. One is the Stula (particle) representation and another is 'Tejasa' (Light/force) representation. According to Standard model, fundamental particles possess duality of force (Taijasa as in MU) and particle (Sthula as in MU) nature. It is the same as what is stated in Mandukya Upanishad between Vaisvanara and Taijasa states. The third quarter is Prajna, which indicates deep sleep. Prajna means consciousness. This quarter is a bundle of undifferentiated mass filled with eternal bliss, that is deep inside, sleeping ever and cannot be perceived so easily. From a scientific perspective, one which does not express itself, one which is not visible to our consciousness or tools is the dark matter. It is a vital part of our model of universe, but one which cannot be detected. Hence it is called 'dark'. It plays a key role in the standard model of our universe. From a scientific perspective, Prajna is the quarter that pertains to dark matter. Mandukya Upanishad says that face of this quarter is consciousness (ceto mukah). It means that in this quarter there is no parts or expressions of its own, unlike the previous two quarters. It can be felt only by the impact it makes on others. It can be felt only by consciousness. The dark matter does not have any parts or states. It cannot be seen or detected. It can only be experienced by the impact it makes on matter. According to Mandukya Upanishad, the fourth quarter is soundless: unutterable, a quieting down of all relative manifestations, blissful, peaceful, non-dual. Mandukya Upanishad also says that "This is the Lord of All; the Omniscient; the Indwelling Controller; the Source of All. This is the beginning and end of all beings"
Mandukya Upanishad further says "It is neither inward-turned nor outward-turned consciousness, nor the two together; not an indifferentiated mass of consciousness; neither knowing, nor unknowing; invisible, ineffable, intangible, devoid of characteristics, inconceivable, indefinable, its sole essence being the consciousness of its own Self; the coming to rest of all relative existence; utterly quiet; peaceful; blissful; without a second: this is the Atman, the Self; this is to be realised"
From a scientific perspective this is equivalent to the energy that is expanding the Universe, that originated from the Big Bang. The dark energy is the representation of the energy that originated the Big-Bang, which is the source and end of all human beings. As science progresses, human beings will evolve tools that better detect, better sense and better understand the dark matter and dark energy that occur around us. But still, like the silence beyond all sounds, there will be an unknown that will ever need to be explored, which is neither this nor that, which is indefinable, the energy that originated the Universe, which keeps expanding ever. Mandukya Upanishad says that AUM is the Brahman or Atman or The Self. From a scientific perspective Particles, forces, dark matter and dark energy constitute the Universe. AUM indicates that Universe in a word. Thus AUM by indicating the Universe with its components and states indicates the Universe as represented in the Standard Model.